Do animals have moral intelligence? Last week the Boulder newspaper The Daily Camera published an interesting article about Marc Bekoff and Jessica Pierce’s provocative new book Wild Justice: The Moral Lives of Animals. The review begins: waste no time in getting to the point: “(W)e argue that animals feel empathy for each other, treat one another fairly, cooperate toward common goals, and help each other out of trouble,” they write in the first sentence. “We argue, in short, that animals have morality.” Advancing bioethicist’s arguments about the moral treatment of animals to posit animals themselves as moral agents, the author’s place moral behavior firmly within an evolutionary context demonstrating how a variety of species are in fact incredibly adept social beings, relying on rules of conduct to navigate intricate social networks that are essential to their survival. The Daily Camera‘s Clay Evans continues: Most of the species examined by the authors are notably “intelligent” and social. Hyenas, wolves, elephants and primates predominate, though other, “lesser” species like rats have their moments on stage. Bekoff is always a pleasant read, but the book’s tales of animal cooperation will bring a smile to many readers’ faces (or a tear to their eyes).… For readers hardened . . . 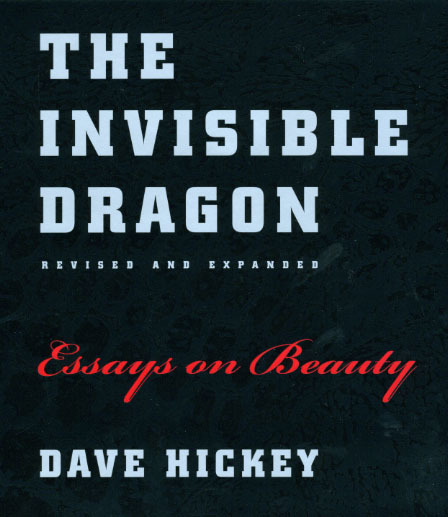 In 1993, Dave Hickey published a sharply opinionated book on art called The Invisible Dragon. It was a small volume, but the response was outsized—and, in many cases, outraged. While artists flocked to it, drawn by its forceful call for attention to beauty, huge numbers of more theoretically oriented professional critics absolutely savaged it, calling Hickey everything from naïve to reactionary. Sixteen years later, Hickey’s back—and time hasn’t dulled his edge. With this new edition of The Invisible Dragon, Hickey has both revised and dramatically expanded his controversial book, addressing his critics and supporters both, while simultaneously placing the book—and the reactions it provoked—firmly in the context of larger cultural battles of the time. Bringing the works of Warhol, Raphael, Caravaggio, and Mapplethorpe to bear on the current situation of contemporary art, museum culture, and art criticism, Hickey argues powerfully for a renewed attention to the inherently democratic—and thus essential—concept of beauty. Writing with a liveliness and excitement rarely seen in serious criticism, Hickey invests The Invisible Dragon with the passion and drama that lie at the heart of great art. Read the press release. . . .
Black History Month offers an occasion to highlight some the nation’s most influential African-American scholars, activists, and leaders. Mostly, the focus is on the usual list of iconic figures—Martin Luther King, Rosa Parks, and now, Barack Obama. 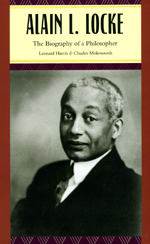 But this year authors Leonard Harris and Charles Molesworth offer a timely tribute to one of the lesser known, yet most influential African American intellectuals of the twentieth century with their new book, Alain L. Locke: The Biography of a Philosopher. A fascinating look at the life of a man often called the “father of the Harlem Renaissance” and whom the authors dub “the most influential African American intellectual born between W.E.B. Du Bois and Martin Luther King, Jr.,” as book critic Carlin Romano writes in his review for the Philadelphia Inquirer, the untold story of Locke’s profound impact on twentieth-century American culture and thought has been long overdue. From the review: This long-overdue book—astoundingly, the first full biography ever of a thinker for whom schools, prizes and societies across America are named—closes a project decided to do together after originally embarking on separate lives of their subject. Why has it taken so long for a definitive biography of Locke . . . The New York Times reports today that intellectual historian and author John Patrick Diggins passed away Wednesday in Manhattan at the age of 73. 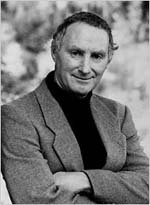 Diggins—whose scholarly work encompassed the breadth of American political thought from “the signing of the Declaration of Independence to the present day”—was known for his “provocative, revisionist approach to the history of the American left and right.” The NYT notes that “he nourished a sneaking fondness for the Lyrical Left but declared Ronald Reagan to be ‘one of the two or three truly great presidents in history. 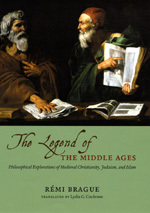 '” The NYT article continues: “The tension between liberal ideals, pragmatism and authority ran like a leitmotif through books like The Lost Soul of American Politics: Virtue, Self-Interest and the Foundation of Liberalism, The Promise of Pragmatism: Modernism and the Crisis of Knowledge and Authority and Eugene O’Neill’s America: Desire Under Democracy“—all of which the University of Chicago Press is honored to have published. . . .
Do animals have a sense of morality? Scientists have long counseled against interpreting animal behavior in terms of human emotions, warning that such anthropomorphizing limits our ability to understand animals as they really are. But in a recent opinion piece for Boulder, Colorado’s Daily Camera, Marc Bekoff, author of the forthcoming Wild Justice: The Moral Lives of Animals, cites numerous examples of animal behavior that he claims would be quite difficult to explain otherwise. Bekoff’s article begins: Do animals have a sense of morality? Do they know right from wrong? 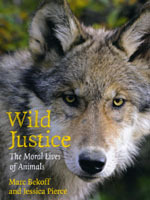 In our forthcoming book, Wild Justice: The Moral Lives of Animals, philosopher Jessica Pierce and I argue that the answer to both of these questions is a resounding “yes.” “Ought” and “should” regarding what’s right and what’s wrong play important roles in the social interactions of animals, just as they do in ours. … Consider the following scenarios. A teenage female elephant nursing an injured leg is knocked over by a rambunctious hormone-laden teenage male. An older female sees this happen, chases the male away, and goes back to the younger female and touches her sore leg with her trunk. Eleven elephants rescue a group of captive antelope in KwaZula-Natal; the matriarch elephant undoes all of the . . .
Each day is another deadline. Then there is that ultimate deadline at the end of our lives. 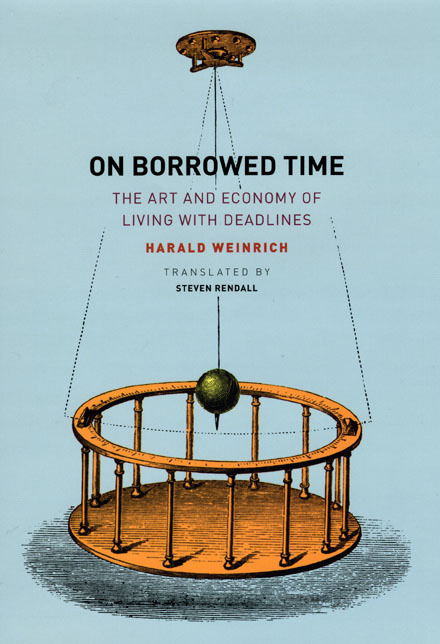 Our sense of the passage of time, and how our experience is shaped by the complexities of multiple deadlines, is the subject of Harald Weinrich’s book, On Borrowed Time: The Art and Economy of Living with Deadlines. John Gilbey reviewed the book for the Times Higher Education: Any tome that starts with a discussion of Hippocrates, Socrates, and Plato and ends with an analysis of the 1998 film Run Lola Run has to be worthy of closer study. This one does not disappoint. Weinrich gives himself a very broad canvas—the impact that shortness of time has had on humanity across history—and he fills it well. He uses an unhurried, easy, and assured narrative style to tease out the complex nature of how we perceive time in natural and contrived situations. Gilbey goes so far as to venture: I believe that the structure and style of this book would lend itself well to being adapted for the screen, either as a single banquet or as a selection of very tasty snacks. If there is anyone out there looking to produce a high-quality, slightly quirky . . . If you’re living in the northern U.S. it is likely that your garden is presently covered under several inches of snow, but as a recent article in the New York Times demonstrates, through the long winter months many gardeners never cease thinking about them. Writing for yesterday’s “Sunday Book Review” Dominique Browning offers a list of a few of her favorite gardening books for midwinter reading that includes Robert Pogue Harrison’s new book, Gardens: An Essay on the Human Condition. 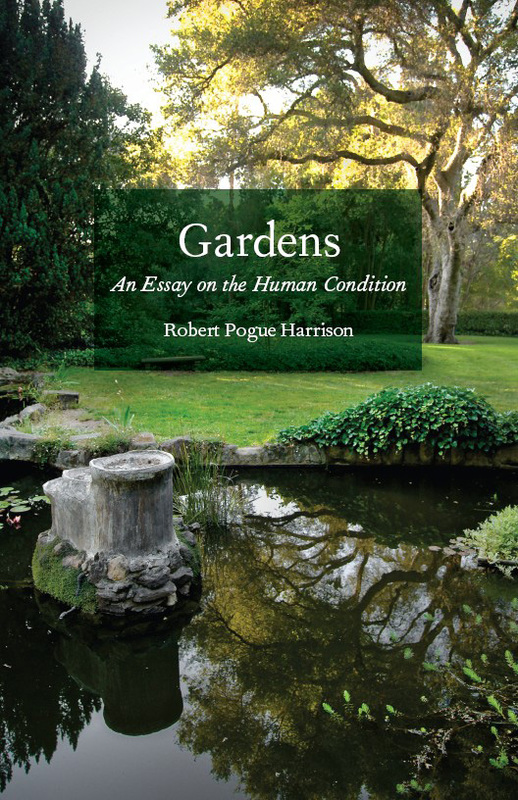 Browning writes: The year’s most thought-provoking, original and weighty garden book (though the lightest in heft) is Gardens: An Essay on the Human Condition, by Robert Pogue Harrison. Here the author of Forests: The Shadow of Civilization and The Dominion of the Dead, a book about cemeteries and burial practices, turns his thoughts to the garden as “sanctuary of repose.” Making a garden fulfills, as Harrison puts it, “a distinctly human need, as opposed to shelter, which is a distinctly animal need.” Burrowing into a more refined issue than what makes a garden, he meditates on why we garden. It’s impossible to summarize the answer, overflowing as his book is with eccentric connections and voracious readings, ranging over centuries and . . . This month marks four years since the death of a philospher who then-French president Jacques Chirac remembered as “one of the major figures in the intellectual life of our time.” Jacques Derrida died in Paris on October 8, 2004, but his legacy lives on in many fields of the humanities, as well as many volumes of books published by the University of Chicago Press. 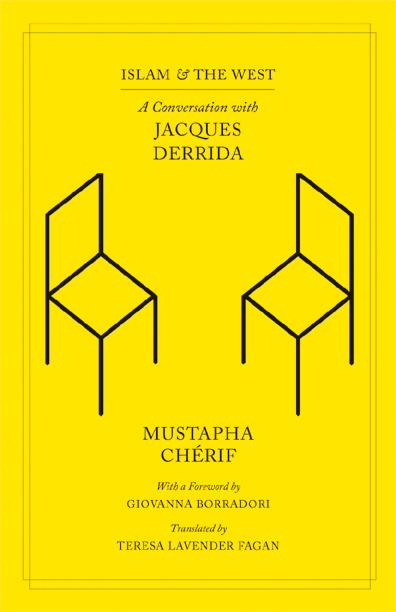 The most recent is the newly-published Islam and the West: A Conversation with Jacques Derrida by Mustapha Chérif. In the spring of 2003, Derrida sat down for a public debate in Paris with Algerian intellectual Chérif. The eminent philosopher arrived at the event directly from the hospital where he had just been diagnosed with pancreatic cancer, the illness that would take his life just over a year later. That he still participated in the exchange testifies to the magnitude of the subject at hand: the increasingly distressed relationship between Islam and the West, and the questions of freedom, justice, and democracy that surround it. For more on Derrida, check out Chicago’s extensive list of his publications and our website memorial in honor of the great philosopher. . . .